Now this amazing technology is available to you! We have integrated parallel compression in our DYNAMIZER technology to provide you with tone and dynamics that are unheard of to date. By working directly with the amplifier, our DYNAMIZER technology adds incredible detail and powerful, fat punch, so your sound is always impeccable, whether you’re playing super-soft – or at the extreme volume levels that push a dB-meter to the max! As bass players ourselves, we know that only the ultimate in tonal flexibility will do, so we designed the VEYRON TUBE to satisfy the most-demanding bassist – you! The passive Bass and Treble Baxandall EQ circuit provides the sound and feel of traditional tube amps, while the active, tube-driven Mid control, working in tandem with a sophisticated 3-position mid-frequency switch, helps you easily dial-in any tone you can imagine. A handy Mute switch allows you to tune up silently, and the -15 dB input switch enables you to jump between passive and active basses in a flash. 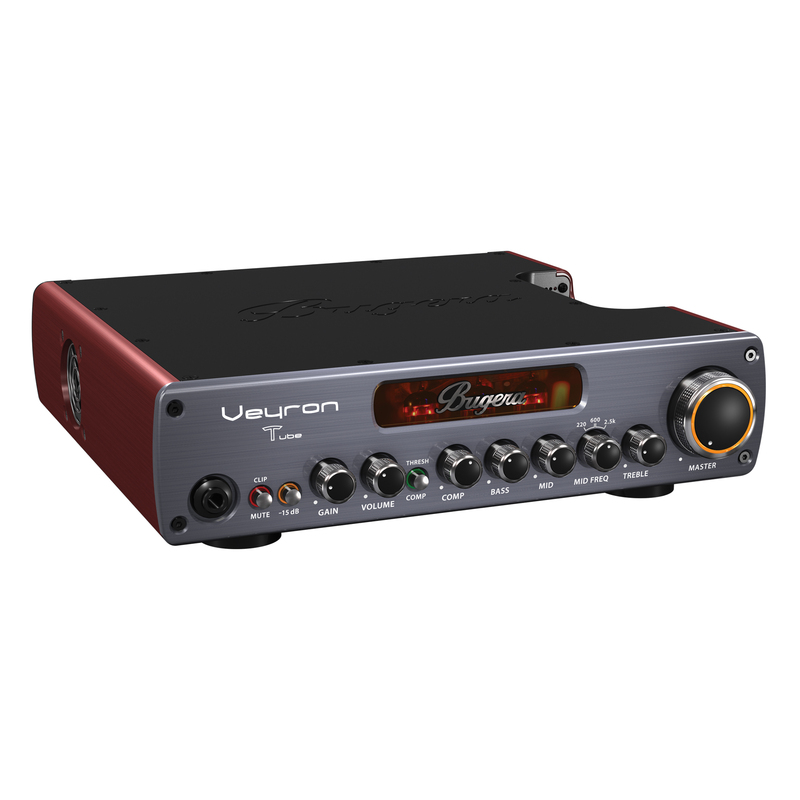 Equally adept in the studio, on the stage or in your practice room, the VEYRON TUBE is replete with convenient options and connectivity to help you get the job done. For recording and live performance applications, we’ve provided a world-class, balanced DI output. 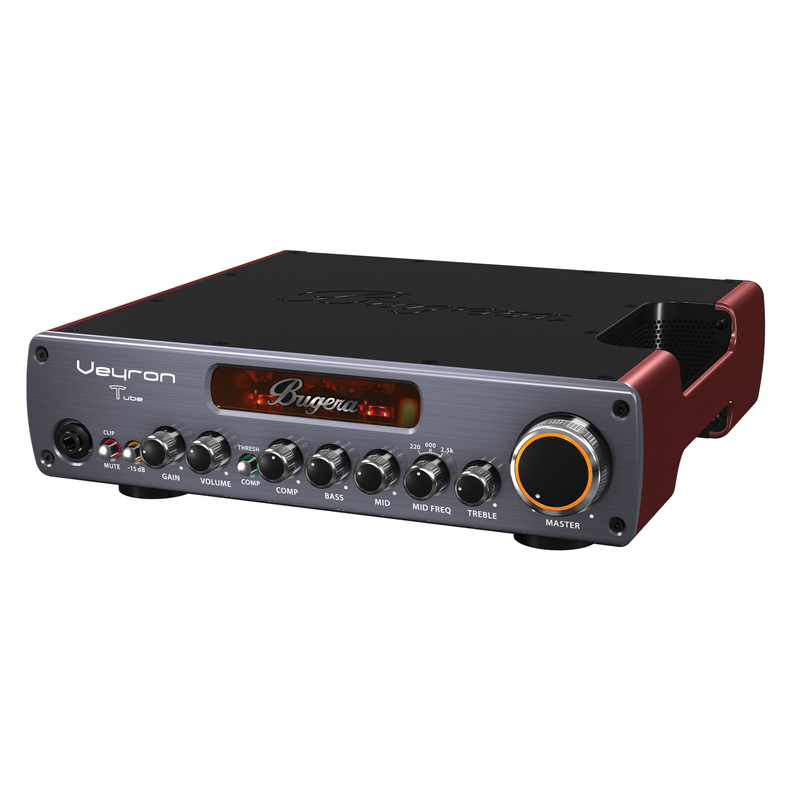 Also included is a dedicated FX Loop for connecting your external effects and a switchable Tuner Output that’s perfect for use with a tuner, or as a live monitor feed. 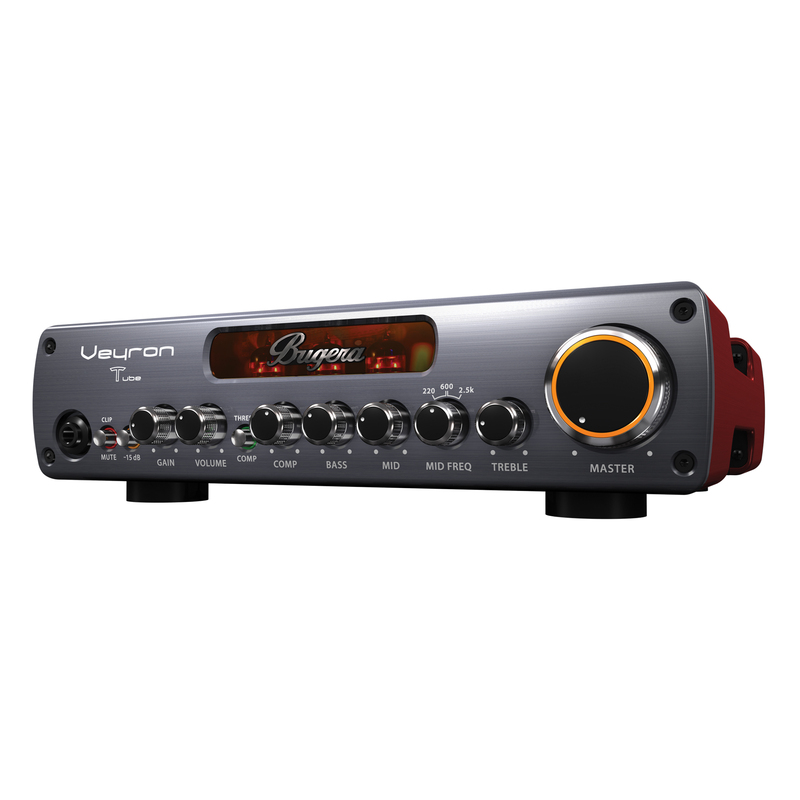 An Aux input is provided for playing along with your favorite music, and the headphone output offers speaker cabinet emulation for superb tone while practicing. 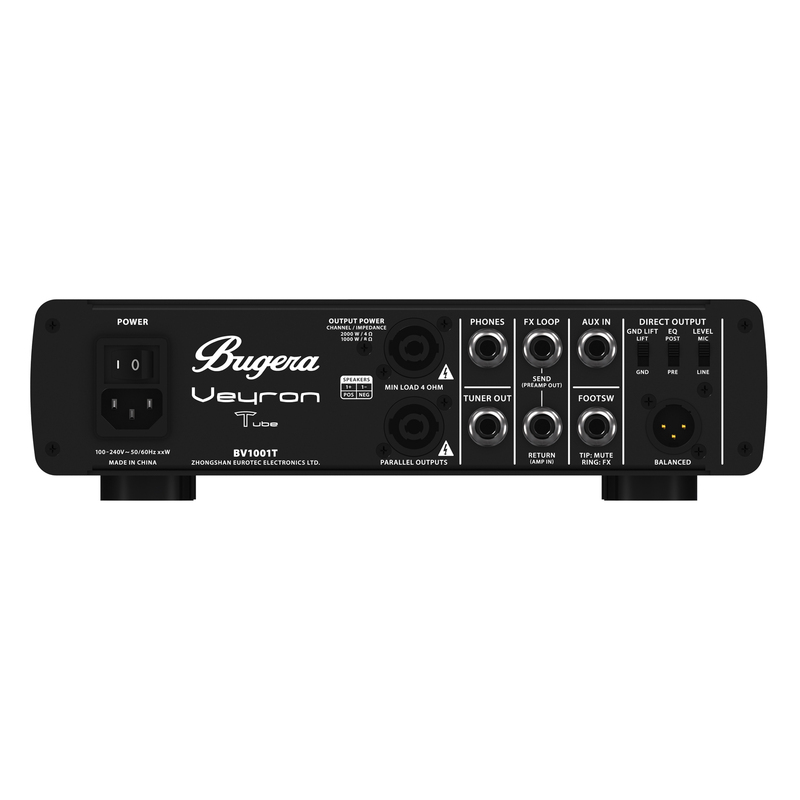 We’ve even provided connectivity for our optional FSB102B footswitch, so you can remotely-control Mute and FX Loop functions. Conceived and designed by BUGERA Germany and covered by our 3-Year Limited Warranty Program, the BV1001T VEYRON TUBE is sure to be the last amplifier you will ever need. Truly a do-it-all solution for any bass amplification requirement, head on down to your local authorized BUGERA dealer to test-drive the VEYRON TUBE today.